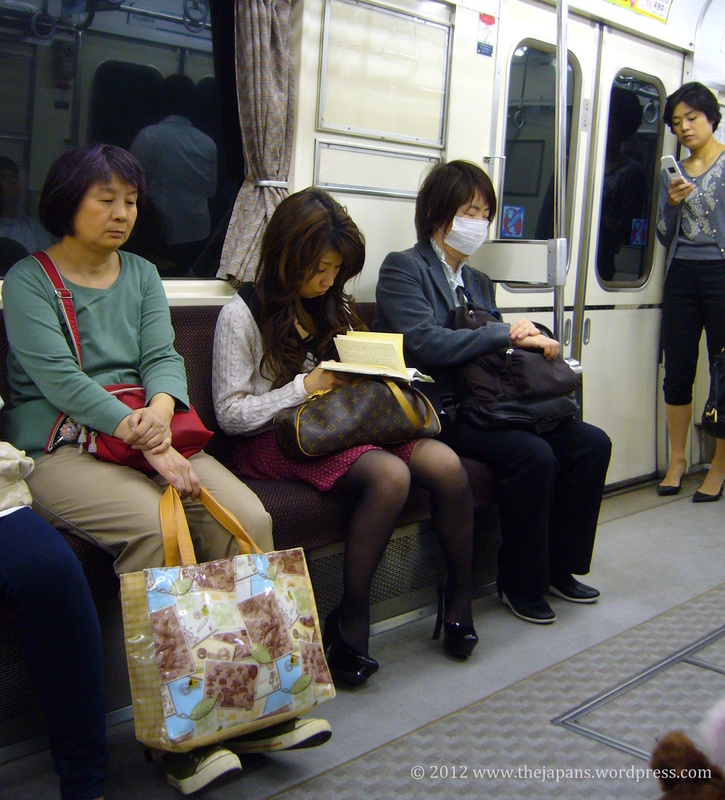 A typical image that Westerners have of Japan, is a subway car filled with business men and school girls, all wearing white surgical masks. In the West it is considered a bit suspicious to cover your face in public. Masks are usually reserved for bank robbers and superheroes. We think that those Japanese people with their white masks look a bit silly and a bit dodgy. In Japan, the wearing of such masks is completely normal. They are worn for various reasons: for example when the flu is in town or to avoid catching a cold. People with allergies wear them to avoid ingesting pollen. When I had just arrived in Japan, those masks took a bit of getting used to. Especially when I was talking to someone who still had their mask on. It is a bit difficult communicating with someone if you can’t really see their face. But of course I got used to it and after a while I didn’t even notice the masks anymore. I even went as far as wearing one myself at some point. There was a big cloud of yellow dust, pollution from China, travelling over Japan. I had already been coughing for a few days and I also started getting chest pains from an irritated trachea. “That does it”, I said to myself, “it is time for a mask”. And indeed the mask made a big difference. The irritation to my throat and trachea were greatly reduced. The first time venturing out in public with the mask I felt quite self-conscious. Don’t I look very silly with this thing on my face? But no Japanese looked any different at me. Even my husband didn’t poke fun at me. 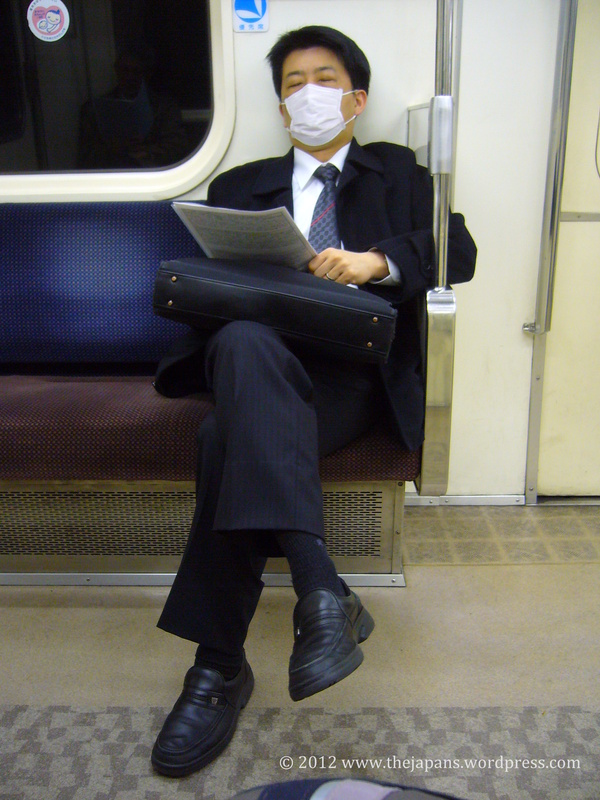 Wearing such a mask is just very normal in Japan, and I am beginning to understand why! Cute mask with pink bows on it. Sorry for the blurry picture. It was a sneak photograph on the train. This entry was posted in Culture, Japan and tagged Cultural differences, Impressions of daily life, In the streets, Japanese culture, People watching, Stereotypes, Strange Japanese things, Train by Haruko-chan. Bookmark the permalink. Talking about the mask in Japan, the first object comes to my minds is Japanese Nohn Mask. Do you see them quite often in Japan? 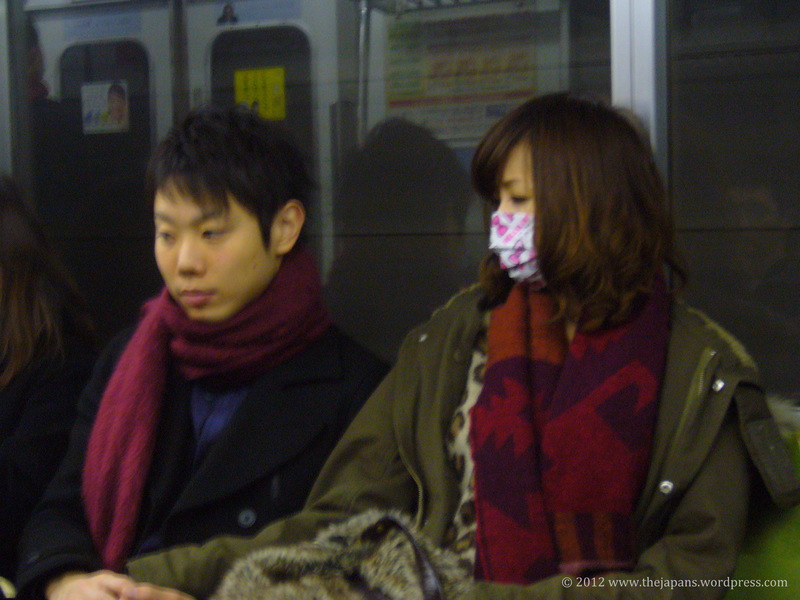 If you mean the surgical masks from the pictures, yes you see them often in Japan. But you don’t ever see Noh masks. I think they are only used for Noh plays. Thanks for commenting! It is great to find another Belgian Japan-o-holic out there! I will definitely follow your blog. I am sure I will learn a lot from your in-depth knowledge of Japan, thanks to your studies. When I was still studying in Leuven myself, I would sometimes attend events of the Japan Studies faculty. I totally agree about the masks. Last December when everyone on the train was collectively sniffing away, I really wished it would be more acceptable to wear a mask in Belgium as well. Hope to ‘see’ you around in the blogosphere. Reblogged this on Ze Blog of Reblogs. Yeah, I agree. Wearing a mask in the winter really helps to keep you warm too, eh?? I think I would probably need to wear one during allergy season. But I am sure it takes getting used to. I have used masks when working in a hospital and I hate that hot face feeling you get with them. I don’t have allergies myself but I have heard stories of other Europeans who had hay fever in Europe, but didn’t have allergies in Japan. And I have heard similar stories about Japanese people in Europe. Supposedly it is because the pollen in Japan and Europe (and probably the US as well) are different.